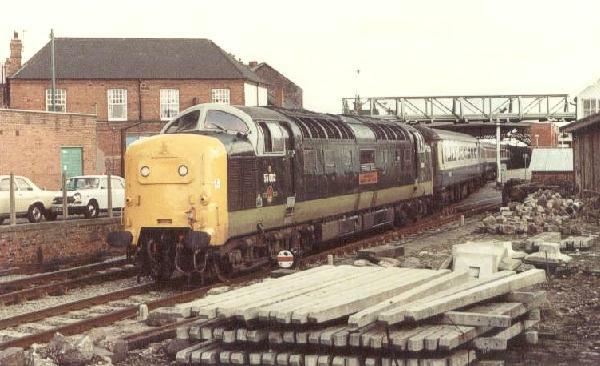 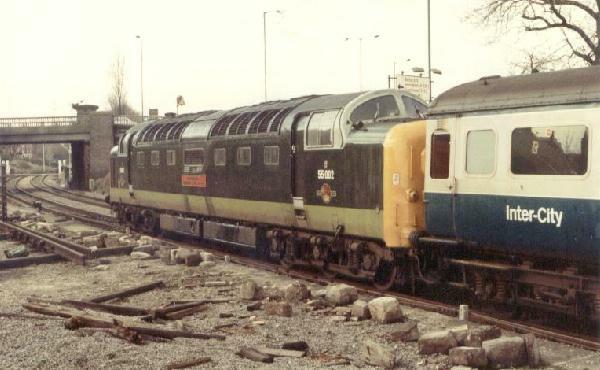 ..at Grimsby Town station with a lunchtime through train from Cleethorpes to Kings Cross..
..late `70`s - early `80`s. 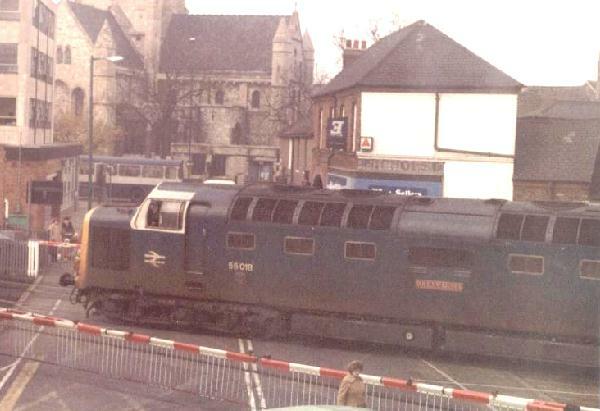 Seen here heading towards Deansgate Bridge and Friargate crossing. 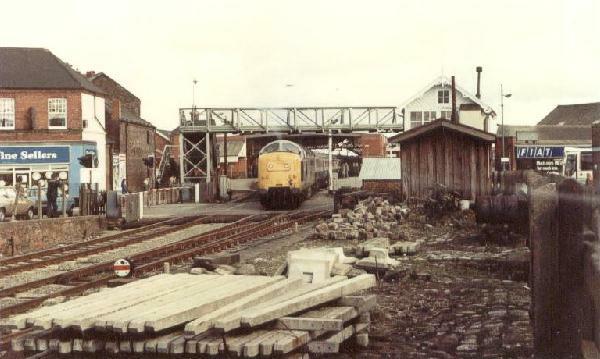 55018 "Ballymoss" leaves Grimsby Town station over Wellowgate level crossing. 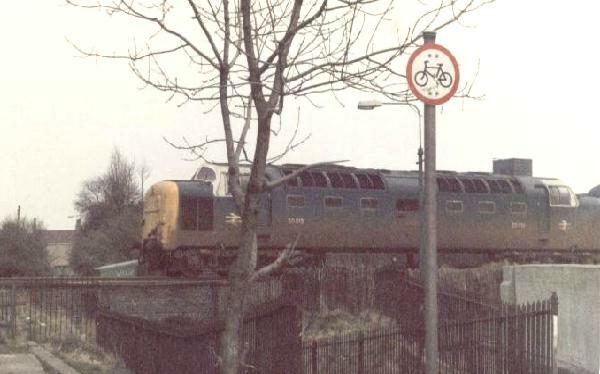 55015 "Tulyar" crosses Haycroft Avenue pedestrian subway. 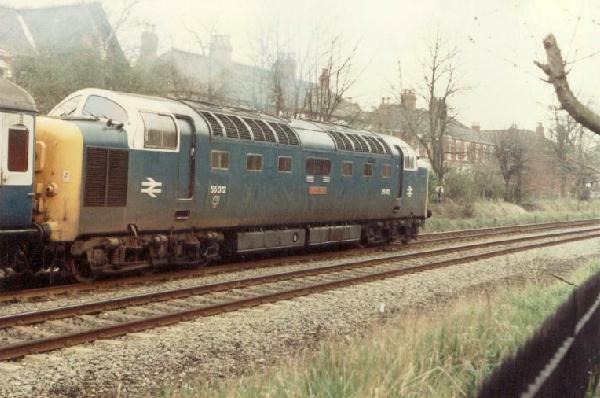 Unidentified Deltic passes Littlefield Lane signalbox and makes its way towards Great Coates. 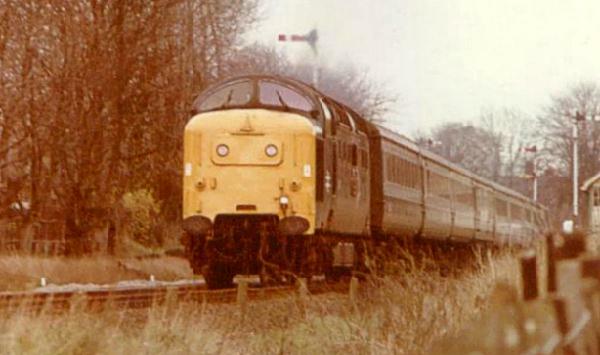 55012 "Crepello" seen approaching Littlefield Lane.